Locally-grown produce, freshly popped kettle corn, live music, food trucks and art: you get it all and more at the Corpus Christi Downtown Farmers Market. 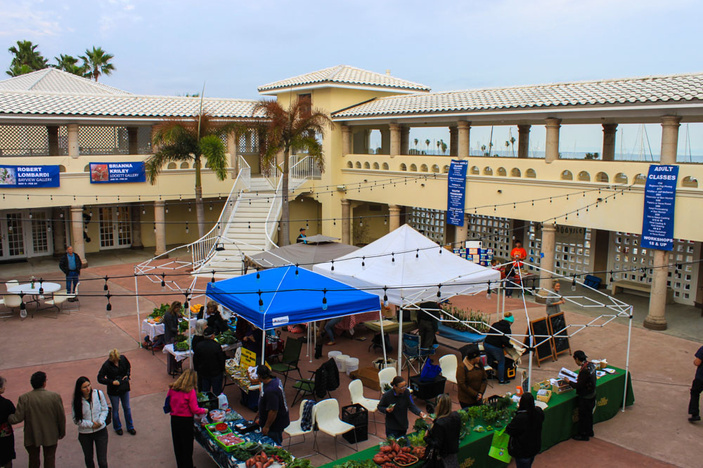 Every Wednesday, the Art Center of Corpus Christi hosts the Downtown Farmer’s Market from 5 to 8 p.m. The Art Center couldn’t be a more beautiful place to host the market. Local vendors set up shop in the courtyard, and the art center stays open late for visitors to peruse the current exhibits. The farmers market is supported by GROW Local South Texas, a non-profit focused on bringing healthy food into Coastal Bend kitchens. Pick up local produce, eggs, meat, bread, jams and jellies, honey and more to stock your pantry and refrigerator. You’ll also find work local artisans selling handmade items like jewelry, soaps and candles, food trucks, live music, a cash bar and more. Follow the Downtown Farmer’s Market on Facebook to stay in the know about special events. Visit the website to get involved or find more information. Catch the Downtown Farmer’s Market Wednesday evenings from 5 to 8 p.m. at the Art Center of Corpus Christi, located at 100 N Shoreline Blvd.